I was looking for a new PC to be used as a server at home (running GNU/Linux, of course), when I discovered this nice Packard Bell laptop with pre-installed and pre-broken Windows. This is really nice. 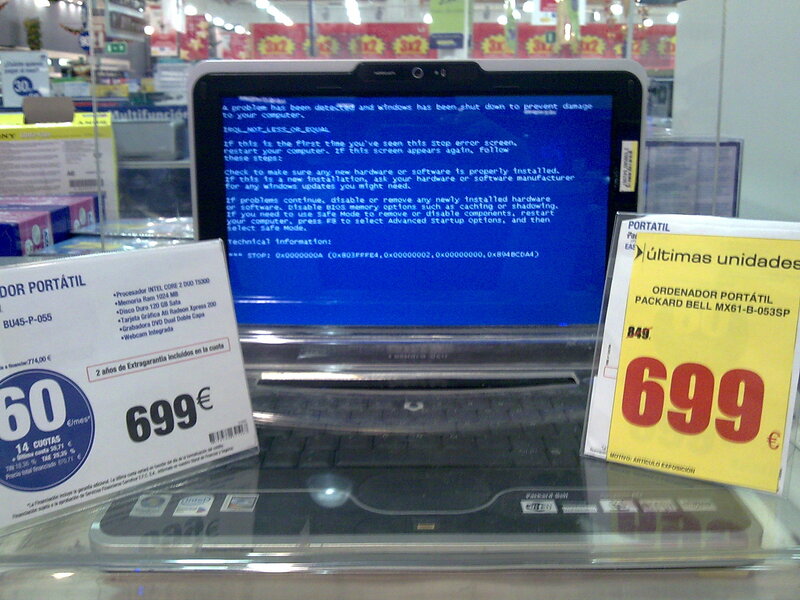 Why wait to break the OS yourself when you can already buy it broken? And it’s only 699€! I want three of this!